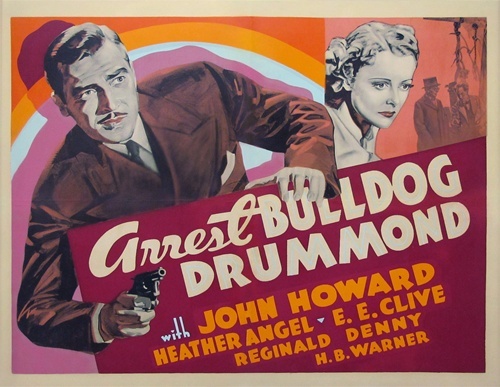 Rating: 6/10 – on the eve of his wedding, Drummond (Howard) gets involved in the murder of an inventor of an electrical device that can cause explosions from a distance; another robust entry in the series, Arrest Bulldog Drummond has all the usual elements in place and keeps things moving in sprightly fashion thanks to a spirited sense of adventure, and a well-versed cast who all know exactly what they’re doing. 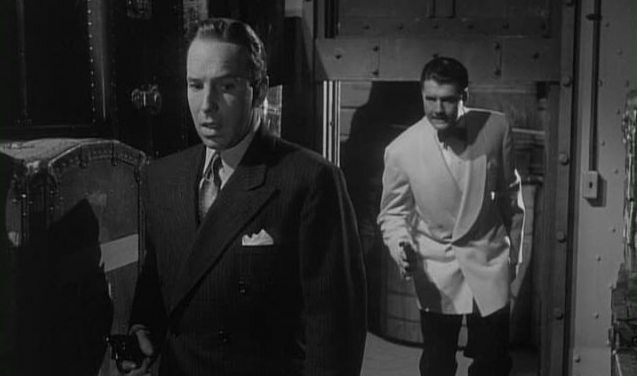 Rating: 7/10 – ace detective Michael Shayne (Nolan) finds himself on the trail of industrial diamond smugglers, just as his long-suffering girlfriend, Merle (Hughes), thinks she’s finally got him to marry her; the Michael Shayne series hits its midway point and proves just as entertaining, if not more so, than its predecessors, with Nolan fully invested in the role, a number of narrative twists to keep the viewer guessing, Leeds’ easy-going direction, and an appealing sense of humour throughout that makes Blue, White and Perfect an engaging and fun-packed franchise entry. 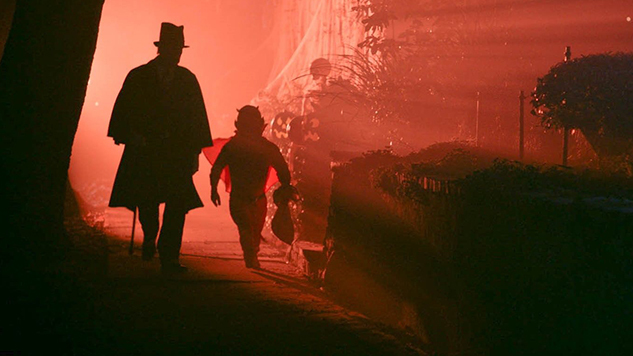 Rating: 4/10 – ten tales set around Halloween in a small, suburban town, and encompassing everything from the Devil, aliens, axe murderers, trick ‘n’ treat, warring neighbours, and psycho imps; ten tales are arguably six too many, with several of the entries in Tales of Halloween proving lukewarm at best (and dull at worst), with Mendez’s Friday the 31st segment standing out from the rest of the pack thanks to its gonzo mix of gore and humour. 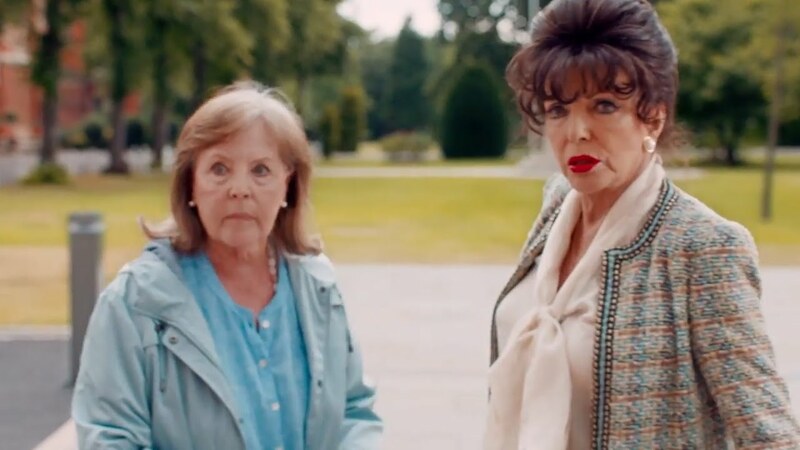 Rating: 4/10 – a faded Hollywood star (Joan Collins) hijacks the goodwill of a put-upon housewife (Pauline Collins) in her efforts to attend the funeral of a former leading man and ex-lover; a tepid comedy-drama that meanders from one dispiriting scene to another in its efforts to be entertaining, The Time of Their Lives wastes the talents of both its leading ladies while it insists on cranking out endless platitudes about what it is to be old and unappreciated, something that, at some point, this movie will succeed in being. 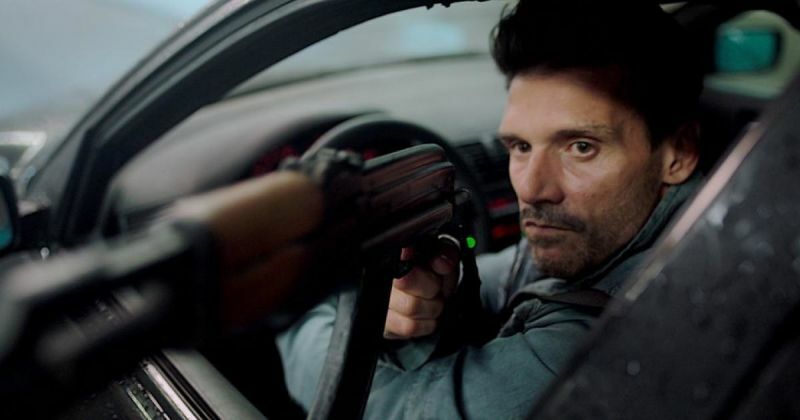 Rating: 6/10 – a getaway driver (Grillo) finds himself trying to stay one step ahead of the various “interested parties” who want the money he has from a bank robbery gone wrong – and who’ll stop at nothing to get it; an action movie variation on Locke (2013) with much of the action filmed from within the confines of the getaway car, Wheelman strives for a stripped-back, gritty aesthetic, but suffers from having Grillo’s unnamed character repeating the same lines over and over, the action taking place in a strange night-time netherworld where the police are perpetually absent, the unlikely involvement of the driver’s teenage daughter (Carmichael) towards the end, and the car’s speedometer never getting above zero.